Aaron Lewis, lead vocalist of the popular rock band Staind, has been branching out as a solo country artist. 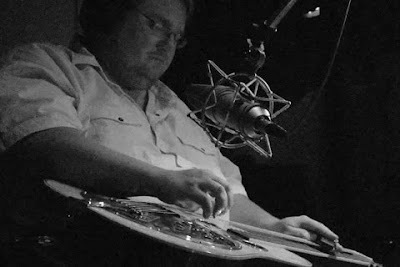 A big part of his live acoustic sound is the artistry of Ben Kitterman on dobro and pedal steel. You can read a review of their show in last Sundays's Kansas City Star. Their tour schedule is on the Staind.com web page. Ben is playing on all of the dates listed as "Aaron Lewis Solo Acoustic".